The Bull, at 4.3 metres high at the head, is constructed using the natural bends in selected lengths of English Oak, tree branches, with some surface carving and a copper covering on the tips of the horns. The sculpture is sited close to the A48. The four ‘hooves’ are bolted, through concealed stainless steel brackets, to concrete base pads installed below ground. 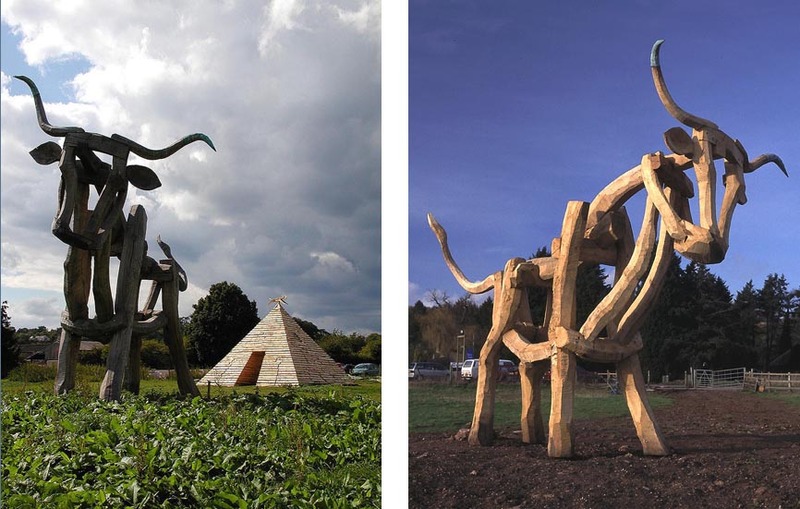 Phil constructed the sculpture at Taurus Crafts, with a degree of accessibility to the creative process by the visiting public and clients of Camphill Village Trust.